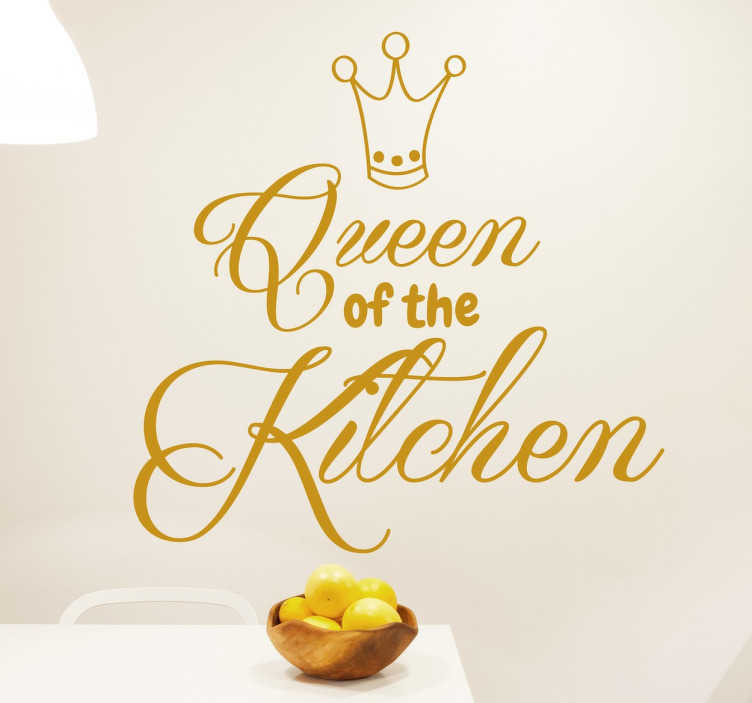 A great text wall sticker to let everyone know who the Queen of the kitchen is in your home. If you take pride in running your family kitchen then why not show it with this easy to apply wall decal with stylish cursive lettering. Add a touch of fun while also decorating in an original way. Available in many sizes and colours so you can customise it with the rest of your décor. Place on any flat surface and remove it easily without leaving any residue behind.